Time to get your ferment on! I’m going to be doing Fermentation Friday a little different from now on. Rather than just posting a recipe, Friday’s post is going to be more of a link love post. I’ve found a few wonderful fellow bloggers who have a love for fermentation equal to my own. 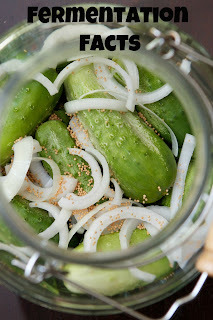 I’ll be posting links to either recipes or informative posts about fermentation. Don’t worry, I’ll still be posting a weekly ferment but it will be on Thursdays instead of Fridays. #1 To get things started, Jennifer at Hybrid Rasta Mama presented Fermentation Facts Series – Installment #1. This post covers some of the basics about anaerobic fermentation and answers several basic questions from readers. This is a must read for newbie fermenters! #2 Jessica at Delicious Obsessions shared her recipe review of my Indian Spiced Cauliflower recipe. 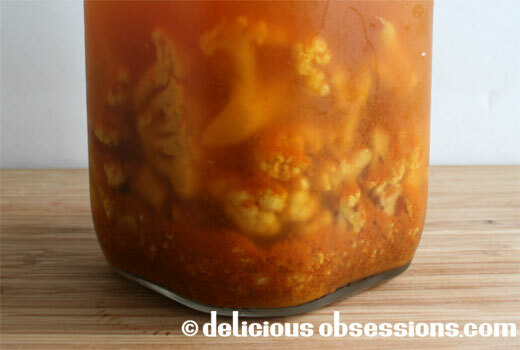 Jessica adapted the recipe for the Pickl-It and added her own personal touch on this amazing fermented recipe. According to Jessica, it’s one the best ferments she’s ever tasted! You can see the original recipe here Indian Spice Cauliflower. #3 KerryAnn at Cooking Traditional Foods shares more information about the problems known with both BPA-free and BPA-containing plastics and how she’s removing plastic from her ferments in order to avoid those problems. 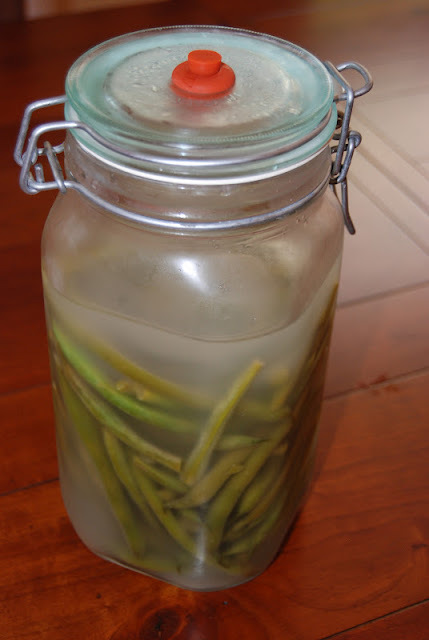 #4 Jessica from naturallivingsocal.blogspot.com has this great simple recipe for Cultured Green Beans. This is a favorite in our house! #5 And if you missed it earlier this week, I posted a couple ferments. First is my go-to pickle recipe for Hot Pickles (just omit the chilies if you don’t like hot) and yesterday I posted this delicious recipe for Summer Squash Relish. Do not let the boringness of the title deceive you. The Summer Squash Relish is amazing! Actually, I’m going to go dish up a bowl for myself right now.